Donner Lake is a focal point for many activities. The usual water type activities of swimming, sailing, water skiing, diving, and fishing can be enjoyed on our "Jewel of the Sierra". This website provides information to help guide you to these activities as well as shops, restaurants, businesses, and services in and around the lake. Locals and visitors are welcome to stay and play at "The Lake". We still have that "Family Resort" atmosphere with lots to offer year-round. We hope to see you soon! My name is Charlie White, and it is my distinct pleasure in bringing to you this new and improved Web Site so you may easily access all of the information on local services, activities and current affairs as well as businesses, associates and so much more. We hope you will find whatever you need, and if not, please contact us and let us know what you would like added. After bookmarking us, proceed to all the interesting places found on our site. And don't forget to sign up for our periodic news letter for the latest happenings around the lake which are also available on our Events Calendar. 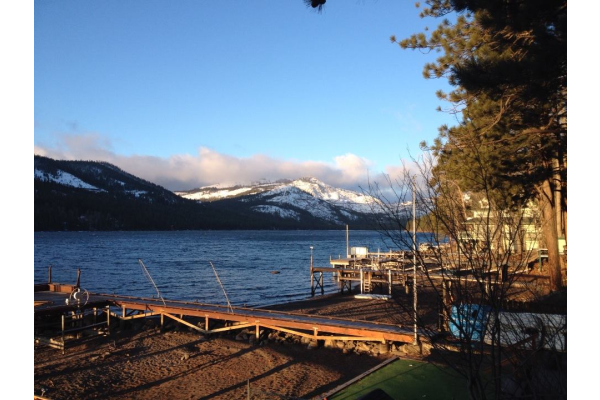 We love getting news from local residents, but we especially enjoy getting pictures and stores from visitors to Donner Lake. Pictures and stories will get posted on our site.